The material of the folding table is high-density polyethylene and powder-coated composite steel pipe, which is substantive and environmentally friendly. For the raw materials of plastic tables, some factories will use more mixed materials of old materials and new materials. But we will use new materials to produce, and our products are of better quality. The integrated blow molded plastic tabletop is waterproof to prevent spillage and weather. Add anti-UV particles to avoid breaking the table after a period of sunlight exposure. The table features a heavy-duty, sturdy steel frame, steel legs, low maintenance, and a sturdy, easy-to-clean top. The folding table legs and central folding feature make transportation and storage almost effortless. Rubber legs prevent slippage and protect the surface. 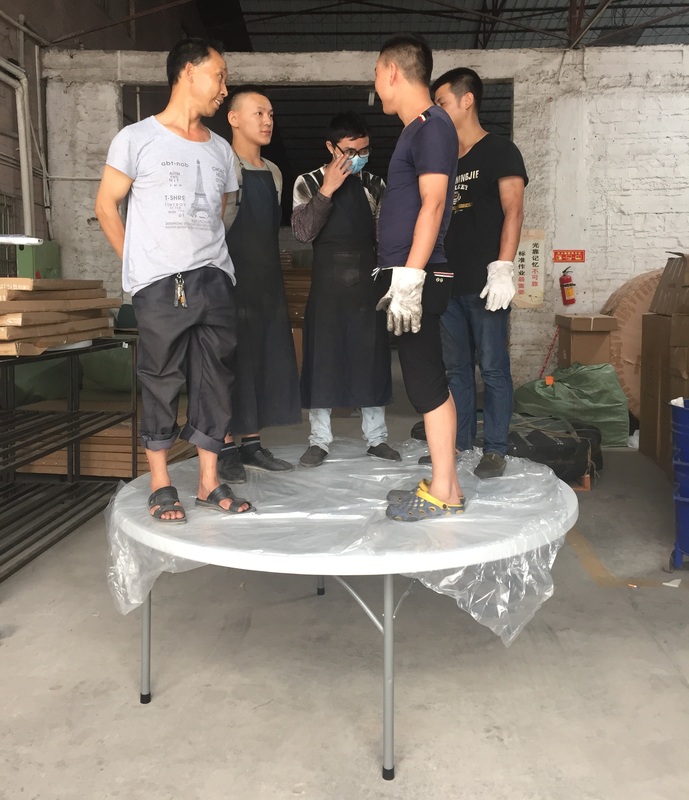 Because the plastic folding table is light in weight, easy to move, and does not take up space, many people like to use it. All types of activities are everywhere. Many folding tables can be fixed together and can be used in many areas of indoor, outdoor, commercial and entertainment applications such as homes, offices, restaurants, hotels, churches, parties, weddings, etc. If you have any questions about the strength of our table or are interested in the offer, please do not hesitate to contact us.